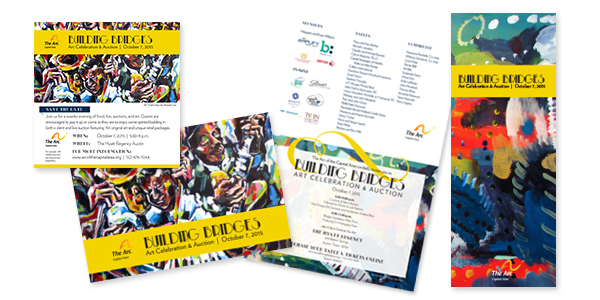 This year’s Arc of the Capital Area Building Bridges fundraiser materials may have been the most cohesive and impactful yet. The lively artwork perfectly reflected the jazz and art deco theme. Special attention was given to online and digital components which coordinated with the more traditional printed materials beautifully. The event was a big success for the Arc and is always an honor to be a part of!